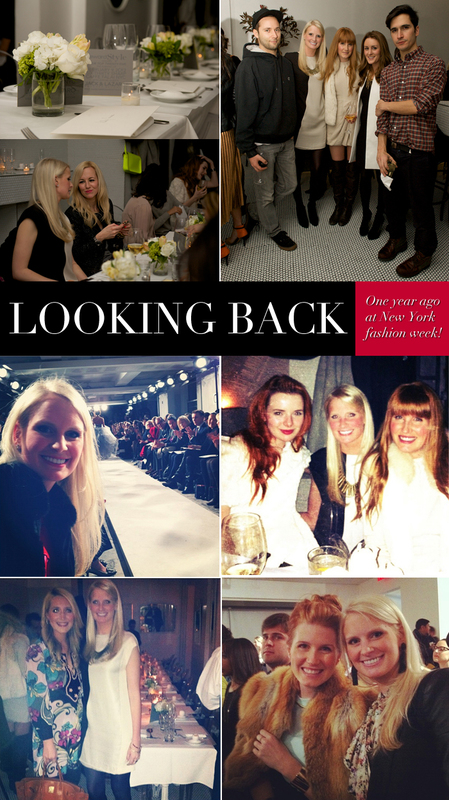 With my 3rd visit to New York fashion week coming up next week, I wanted to take a look back at what I did last year! Here are some pictures from the rewardStyle Top 25 Blogger Dinner with Proenza Schouler, conferences and shows I attended (including a shot of me FRONT ROW at Oscar de la Renta). This time around I’m excited to once again be included as a blogger in the rewardStyle Top 25 Blogger Dinner with Moda Operandi, go to several shows including Tibi, Lela Rose, Tory Burch and more, and meet up with some friends I haven’t seen in forever. Also on my list? Finally checking out Otte boutique, and hitting up Ladurée for a huge box of macaroons. Are you going to NYFW? If so comment or tweet me so we can meet up! Stay up to date with the latest from fashion week by following me on Instagram. So exciting about the dinner with Moda Operandi. Is TTH going to be there?!? I am dying. And speaking of dying, I would have if I met Jack and Lazaro!!! Oh an I’m going to shows too including the Jenni Kayne presentation. Maybe we can meet up? !